This is one of the hard-hitting conclusions in a new International Monetary Fund (IMF) working paper, “Struggling to Make the Grade: A Review of the Causes and Consequences of the Weak Outcomes of SA’s Education System”. Unfortunately, political economy considerations usually favour input-based policy measures, the authors say, because they are visible and can be more easily “captured” by politicians, “who love ribbon-cutting”. The authors argue that while providing free university tuition should improve enrolment and attendance, the payoff “is likely to be limited at best and wasteful at worst” unless SA addresses the weak foundations at primary and secondary school — which result in more than a quarter of university and college students dropping out in their first year. “This is not to say that there are not many academically qualified but poor students in tertiary education who deserve help; no doubt this is crucial for this segment of the population. But a large proportion of the tertiary education population come from middle-class and well-off households. They can largely afford the fees outright, or they can repay the loans after getting their degrees,” says Mlachila. On average, an SA teacher misses 11% of teaching time due to absenteeism, according to the paper. Roughly 20% of teachers are absent on Mondays and Fridays, and 33% are absent at month-end. In predominantly black schools, teachers teach an average of 3.5 hours a day compared with an average of about 6.5 hours a day in formerly white schools. 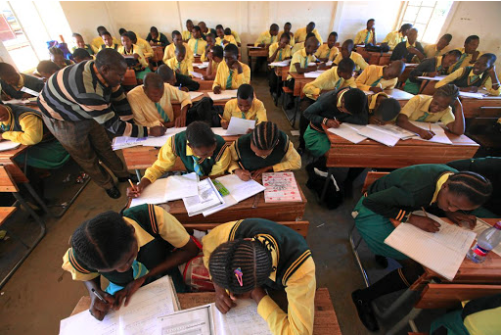 “SA teachers have few systems that make them accountable for the academic performance of learners,” says the paper. Mlachila says there has been an improvement in some quality indicators over the past decade, largely as a result of the government’s curriculum & assessment policy statement (Caps). This means the government would have to enforce the testing of teachers. While this might make becoming a teacher less attractive, the authors believe it could provide “a useful filter” for who enters the profession. However, the authors acknowledge that there is no single “silver bullet” to fixing the problem, and that often it is when interventions are packaged together that the best results are achieved. According to Spaull, the report is the latest from an international organisation such as the World Bank or OECD to find that “the education system is really the binding constraint to long-term economic growth”. Fixing the system may be “a long-term process”, he says, “but it needs to start somewhere”.